Finally! 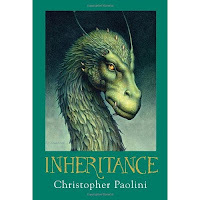 Book 4 of Inheritance is Here! Seems like I’ve been waiting for eons! I’ve been trying to reach Christopher Paolini, the wunderkind who penned Eragon at the age of 15, to find out how he was doing on it. I wanted to tell him I’d bake him cookies –any kind he wanted – if he would please get that last book finished. It was my daughter who got me hooked on the series. 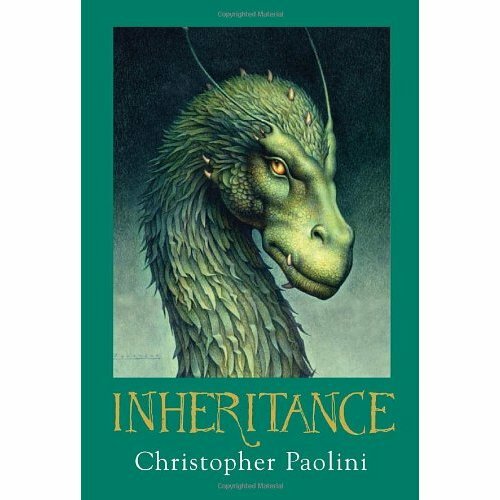 She’d asked for Eragon for Christmas one year, and later got the next one, Eldest, on her own. I read them both when I was there for the birth of her third baby. When Brisingr was released, I bought copies for both of us and sent her the movie version of Eragon that Christmas. Then the long dry spell. 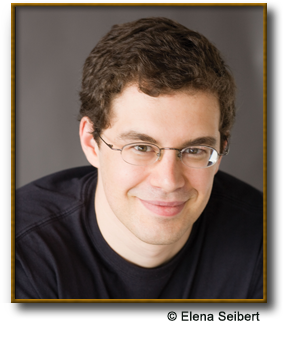 I Googled everything to do with Christopher Paolini and his titles. I tried to find him on Facebook. I haunted Amazon.com for the slightest hint that Book 4 was ready for pre-order. Amazon, BTW, is strangely silent on the subject. A best-selling author like that should rate a fat headline on their opening page. How did I find out? From a brief article in the book section of the Houston Chronicle! Where is this kid’s publicist?? C’mon, people! Cyber Monday found me hard at the keyboard scoring Inheritance for me and Daughter. And, Chris, wherever you are, the offer of cookies is still open. I just discovered the most extraordinary woman! Dr. Korostensky was a guest today (Wed., 11/16/11) on my friend Jahnavi Foster’s weekly Wellness Radio podcast. Hailed internationally as an “inner flame rekindler,” Kunbi, as her friends know her, is determined to reawaken this valuable gift. For over 30 years she has dedicated her life to integrating spiritual consciousness into daily activities. A naturopathic doctor and psychologist with a master’s in energy psychology, her real break-through came during a near-death experience. “It wasn’t pretty, what I saw,” she reported. Women have become masculine; seeking validation by tuning out instincts and embracing intellect. Education and the need to succeed, it seems, are barriers between a woman and her natural gifts. Dr. Korotensky participated in the podcast via phone from her home in Switzerland, which is why it came on at noon, EST, rather than the usual 6:00 PM. I dang near threw it off the air trying to call in – I just had to talk to her! Fortunately my publicist, Miranda Spigener, was tuned in. Hearing the program cutting in and out, she quickly texted me to for Pete’s sake turn off my radio. When things settled down, I related that I had experienced heightened intuition during my pregnancies. Was that typical? I mean, I’m educated, pragmatic, and haven’t a lick of clairvoyance. Yes, she responded. The baby within can and will crash through the barriers. (Hence the cravings for pickles with ice cream?) I had never thought of this before, but the presence of the baby’s intuition goes a long way toward reinforcing the mother’s. 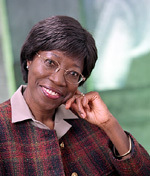 Kunbi’s book, Intuition Involution, Living By Intuition for a Balanced World in 2012 and Beyond is due for release even as I type. I’ll do a full review as soon as I can get my hands on it. Meanwhile, look her up. This is empowering stuff! In 1893, Sir Arthur Conan Doyle decided to kill off his most famous creation: detective Sherlock Holmes. Six years of writing these cleverly concocted mysteries, he explained in a letter to his mother, had left him weary of the character. Thus, in The Adventure of the Final Problem, Holmes and his nemesis, Prof. Moriarty, plunge over a Swiss waterfall while locked in combat. 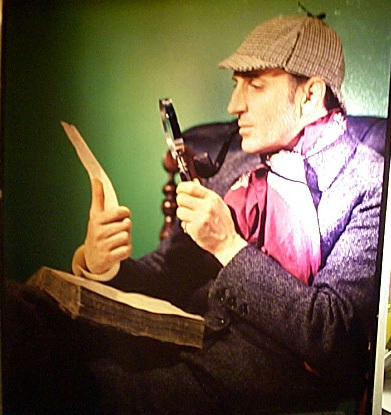 Obviously Sir Arthur seriously underestimated Holmes’ popularity. Shocked to the point of wearing black armbands, Doyle’s readership launched a stunning protest. Even Queen Victoria was not amused, personally requesting the author to revive the legendary detective. Caving to the outcry, Doyle penned The Hound of the Baskervilles in 1901, as a prequel to previously published adventures. But that wasn’t good enough. 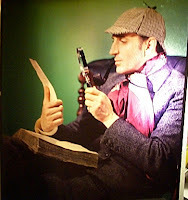 Clamoring fans wanted Holmes alive. So Doyle dutifully produced The Adventure of the Empty House, wherein Holmes explains he’d flung Moriarty down the falls and then faked his own death to escape the professor’s henchmen. With satisfied fans back on board (and a record sum of money from his publisher) Doyle continued writing Sherlock Holmes adventures, stopping only three years before his own death in 1930. Sherlock holmes, however, is still going strong.